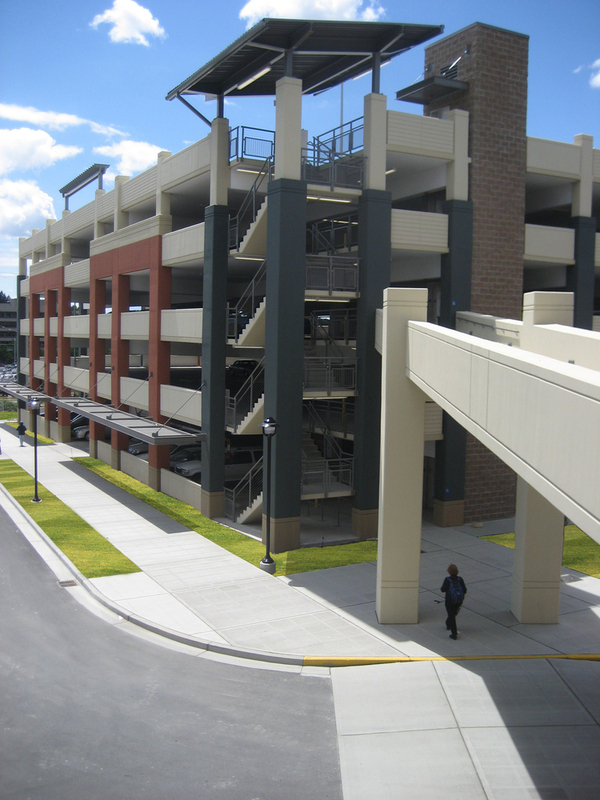 Northgate Mall Parking Structure | Cary Kopczynski & Company, Inc. The garage features five parking levels and is constructed of cast-in-place post-tensioned concrete. 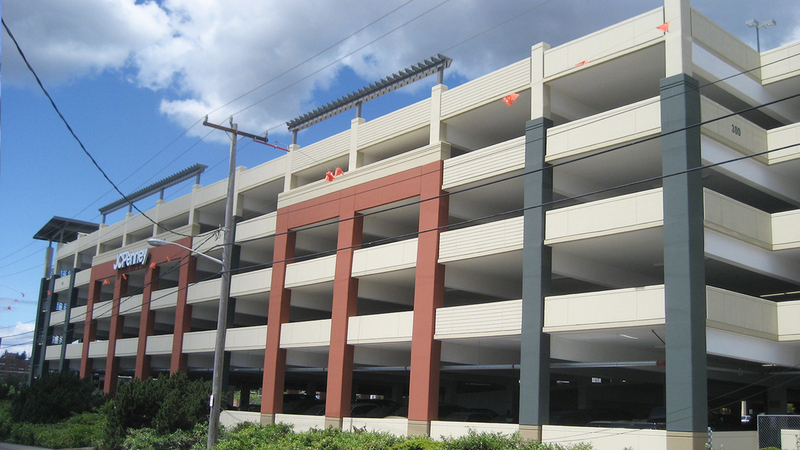 A long span framing system provides column free parking. Ductile frames were used for seismic resistance in both directions, eliminating all shear walls and maximizing sight lines. Structural durability was enhanced through use of custom designed mixes which reduced slab shrinkage during construction and minimized porosity of the hardened concrete. An internal ramping system utilizing sloped parking bays provides an intuitive circulation loop through the garage. Connection of the garage to the mall is achieved via two skybridges, the structural design of which was also provided by CKC. The Northgate Mall parking structure is an outstanding blend of state-of-the-art engineering and attractive architecture. Construction was completed on time and on budget.